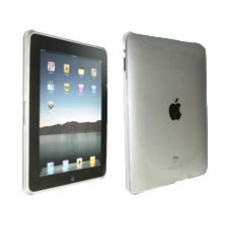 This clear naked hard case for the Apple iPad offers ultra thin protection unlike any other case on the market. Its unique design provides a thinner and tougher class of case than any of its contenders. Measuring in at a tiny 1mm thick, this ultra thin case is made from an unbelievably tough material. Its so discreet you will barely notice you have a case on. Unlike other thin cases on the market with matte finishes that can wear off over time, this cases super tough polycarbonate material is polished to a high gloss, that not only looks great but also offers excellent grip. * State of the Art 1mm Ultra Thin Casing. * Made from Super Strong Polycarbonate Material. * Easy Touch Button Access.